Super Eagles player, Odion Ighalo has been ruled out of the Nigeria vs South Africa AFCON qualification clash. 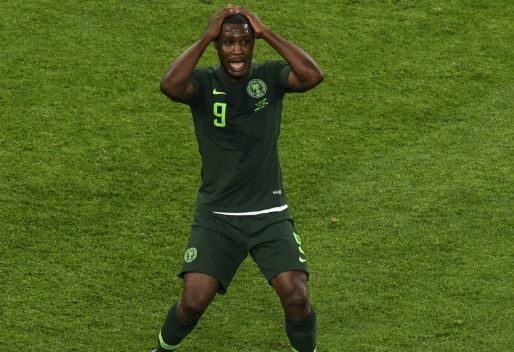 Odion Ighalo, a Super Eagles striker, has been ruled out of the Africa Cup of Nations (AFCON) qualification game against South Africa, TheCable reports. Ighalo sustained a hamstring injury in Changchun Yatai’s game against Tianjin Quianjian on Wednesday. The five-goal hero in the two-legged AFCON qualification games against Libya in October was stretchered off the pitch in the 16th minute. Ighalo disclosed to TheCable that it’s a hamstring injury. “I pulled my hamstring,” Ighalo said. The extent of his hamstring will be determined after a scan which will be carried out later. The Super Eagles will take on the Bafana Bafana on November 17 in Johannesburg. It takes up to three weeks for a player to recover from a hamstring injury. 0 Response to "South Africa vs Nigeria: Ighalo Suffers Injury, Ruled Out Of AFCON 2019 Qualifier Clash"